Welcome to the March edition of the Architects Certificate monthly newsletter. 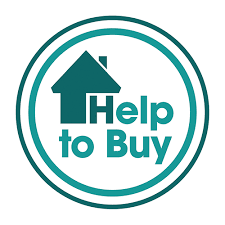 This Month we revisit the Eco-Build in Penymynydd and a new site in Rhyl, we are also making constant changes to our advertising methods and website. 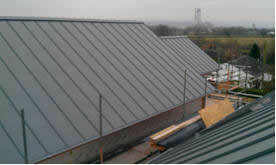 This month we revisited the Eco-Build in Penymynydd, despite the bad weather the project has progressed quickly. The majority of the doors and windows have now been fitted and the Tin roof is now fully installed with guttering. At the current rate of progress this project should be completed in the late autumn, just in time for Christmas. The next site we visited was located in Rhyl. Avid readers will notice the similarities in foundation type between this and the Penymynydd foundations featured in our June 2012 Newsletter. 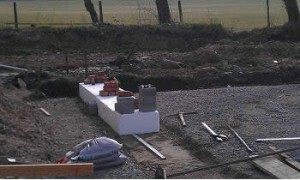 They both utilise thermal insulating polystyrene to create a floating concrete slab. This provides a greater degree of insulation; this method of foundation design is relatively new in the UK but has been a staple in most builds in Scandinavian countries. This month is also a celebration, it is our first anniversary at the current offices in South Manchester. These offices have provided us with a central location to operate from, providing architects certificates nationwide. The location of our offices also means that it is easy and convenient for clients and professionals to visit us. The offices are large enough to allow expansion and we have decided to remain in Altrincham for the foreseeable future. This concludes the March edition of the Architects Certificate Newsletter, don’t forget to like us on Facebook and follow us on Twitter using the links below.